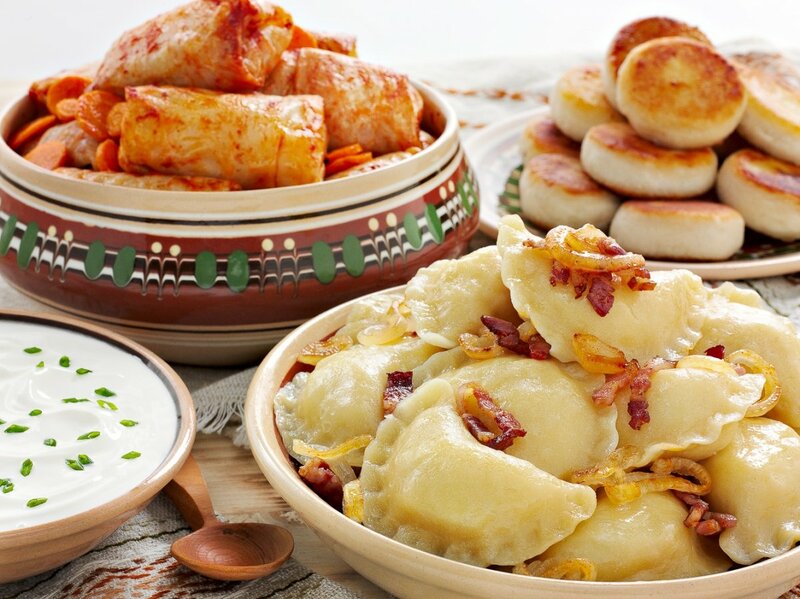 Ukrainian cuisine is relatively young – its specific features began to shape as far back as in 17th-18th century however it got fully formed only as late as in the middle of 19th century. Since part of population of Ukraine belonged to peasants’ layer engaged in physical work, high-calorie products prevailed in their menu: millet, buckwheat, leguminous plants, bakery, unleavened starchy foods, tallow pork and, sure enough, fat – universal energy resource, fit for consumption in raw, salted, smoke-dried and melted shapes. 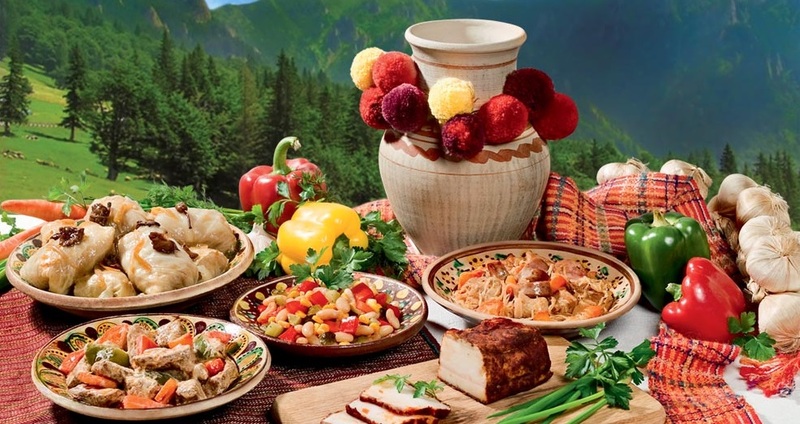 Traditional Ukrainian lunch began with a thick rich soup, at that red borshch, that has over twenty ingredients in it, used to be cooked only on weekends and holidays. On weekdays full of work our predecessors preferred something simpler and faster. In the south-east they boil kulish – chumaks’ lorelei with millet, richly seasoned with pork fat. Lovers of hot dishes are sure to like cabbage soup with onion from Cherkassy or the famous hodz – pickle soup on beaf bone tea, flavored with forest mushrooms, rice and celery. For better accessibility challenging meat dishes are consumed with vegetable garnishes – beet-rout, cabbage, turnip, radish, cucumbers and tomatoes. 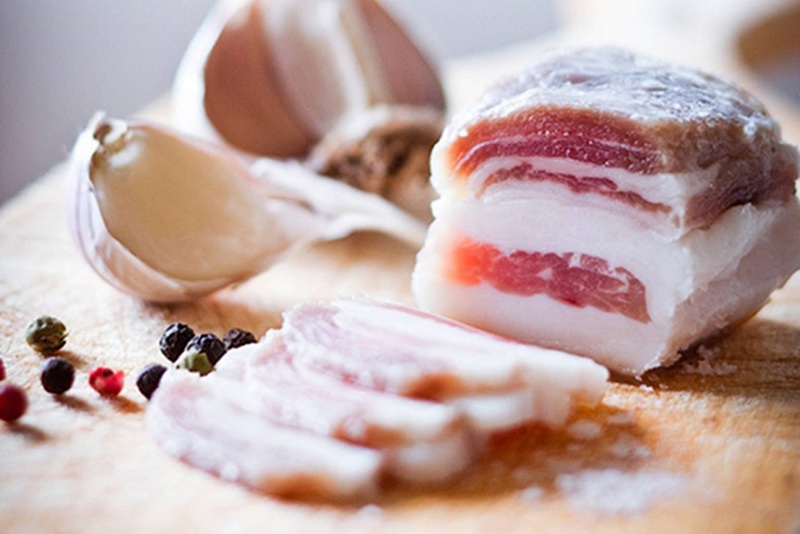 Classic example can be pechenya – pork stew with cracknels and vegetables, baked either in potties or bread plates. In Zakarpattya you’ll be offered a chowpent – ham or brisket with barley, beans and paprika. Potatoes, on the other hand, never managed to become second bread for Ukrainians: even mashed potatoes are recommended to be seasoned with beans, peas, sauerkraut or grated carrot. In Halicia they cook chinakhy this way – smoked pork ribs, layered with ground beans and baked potatoes. Ukrainian native gastronomy will come as no disappointment to sweet teeth, too, for whom no feast is a pleasure without some desert. 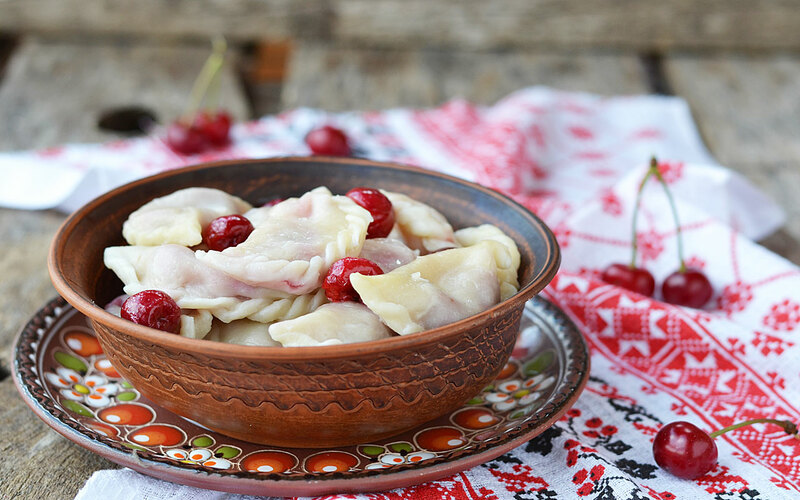 In summer season of sweet varenyky with cherries, honey and poppy seeds comes while long winter evenings are prettified with cookies, syrnyky – cottage cheese pancakes, verhuny –Ukrainian angel wings, and slozhenyky – egg pancakes with cream. While having dear guests, welcoming hosts are sure to take the advantage and serve a favorite liqueur on fragrant herbs, pungent horilka with pepper for a men’s heart-to-heart talk or a balmy cherry liqueur for beautiful ladies.